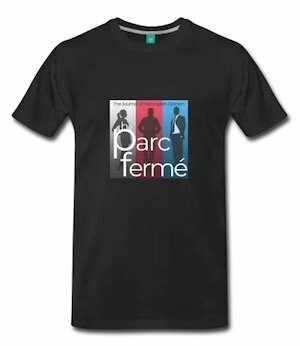 When I started theparcferme.com back in 2005, I did so because I could not find a safe harbor for new and veteran Formula One fans to discuss their beloved sport without trolls, bullies and flamers. After engaging in some of the most popular forums and blogs, I found that a person’s “post count” or length of membership was used to belittle those who had just joined and it was clear that some members thoroughly displayed the bravery of being out of range. I thought there could be something better… something more honorable to the world’s most advanced form of racing. These simple and yet powerful words have guided the entire conversation at F1B for years now and I have only had to delete or ban on two or three occasions in all these years. The reason I have had to do little policing of the opinions shared here is simple… YOU! All of the wonderful people who come to tPF have policed the site and reminded those who have gotten off color or missed the plot. A new person arriving at tPF to flame, troll or bully is gently reminded of our one rule… civility and decorum. join us and engage. Share your thoughts and opinion but do it with decorum and civility. That means no personal attacks. You disagree? Simply say so. Attacking anyone personally over an opinion is not tolerated or encouraged. There are countless other websites that encourage this behavior and would love your presence on their site… we’re not one of them. tPF is a home for new F1 fans and old. Veterans are honored to help new fans learn more about the sport without being heavy handed or ham-fisted in their efforts. The simple reason for F1B’s success is you… being a part of tPF and doing it with decorum and civility. We understand that no system is perfect but we do try to create a safe harbor for new and veteran fans alike. We were featured on Civilination which is an organization that works very diligently in bringing civil discourse back to the internet. You can catch out conversation HERE.